Juanita Howell Passed away on June 21, 2018 was born a twin April 19, 1930 in Oshkosh, WI to Jack Howell and Corinne Coker. Both parents, brothers Walter Howell and Herman Adams; sisters Betty J. Sayles, Vera M. Harris and twin Jacqueline Howell-Busch, children Jaquline Lewis, Kirk Howell, Frank Howell and Denise Howell preceded her in transition. The family relocated to Kansas City in the late 1930’s. 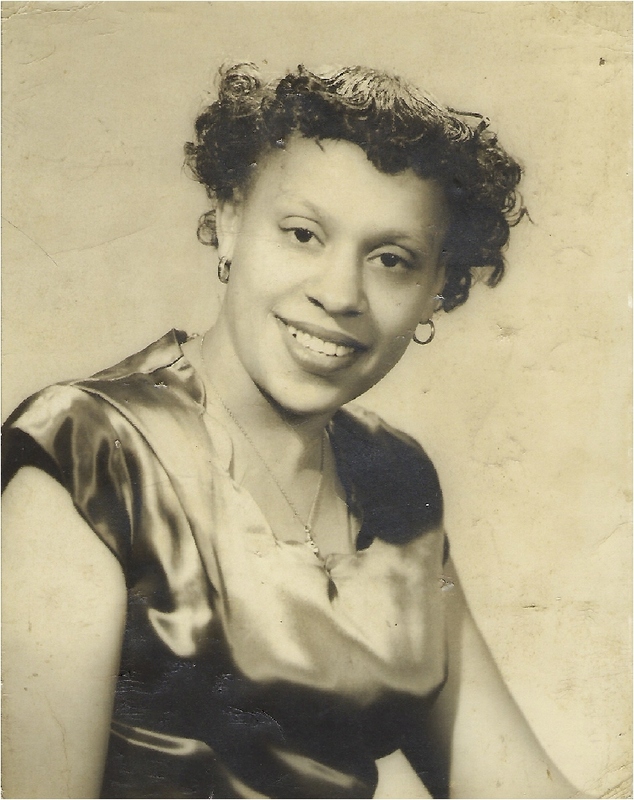 She attended Kansas City Missouri Public Schools, graduating from RT Coles Vocational High School in 1944. Juanita worked for ST. Lukes Hospital in the Radiology Department as an Xray technician, retiring in 1995. She worked as a family provider for the Guessdaner Family (who adored her dearly) for many years. She was a member of Macedonia Baptist Church since the early 1960’s, where she was baptized and sang in the church choir. She was feisty and full of energy. Her favorite sayings were; “Ain’t no damn recreation here”, “Let’s hit it”, “Hanky Panky” and of course “Motty Trotty”. Juanita was diagnosed with Alzheimer and Dementia in 2003, she fought a good fight and was surrounded by loved ones upon her transition. She leaves to cherish with fond memories daughters Cynthia Howell of Houston, Texas, Ann Coleman of Kansas City, Missouri, Rosezella Mitchell (Terry) of Kansas City, Missouri; sons Ronald Howell of Seattle, Washington, Frederick Howell (Janet) of Olathe, Kansas; grandchildren Ronika Brooks, Elica Howell, Makeba Howell, Shelion Howell, Montelle Howell, Mechelle Wangerin, Shannelle Everest, Maillia Baum, Natashaia Baum, Ronald Howell Jr., Jamhal coleman, Ariane Coleman, 37 great grandchildren, 30 great great grandchildren, a host of family and friends.